The Journal of Open Research Software (JORS) is an open access journal, which publishes peer reviewed software papers. Software papers describe open source software for research with high reuse potential. The authors publishing in the journal are awarded for opening up software with a peer reviewed journal article. This article is an author-based review of JORS and an experience report of the submission process of one now published paper there. Several questions arise while browsing an unknown, yet promising journal website. How will the editorial process work? Will the submission be acknowledged as received? How long will peer review be? Will the process be beneficial for the manuscript? Will the reviews be fair? The academic research centers are overrun by terrifying publication-related experiences from colleagues. Arguably, the instant access to reviews of journals written by authors would answer those questions. Indeed, there are proposals to write consumer reports of academic journals, e.g., (Deaner 2013; Holsinger 2013; Anderson 2013).The discussion about the tools to be employed for journal reviews is still open, and young tools like SciRev are slowly emerging. SciRev (Kochmann 2014) offers a strongly analytic, scientometrics-based platform for author-based journal reviews. The present author has contributed there but still has a preference for free-form writing. This article reviews a young, yet promising and interesting venue for publication: the Journal of Open Research Software (JORS). 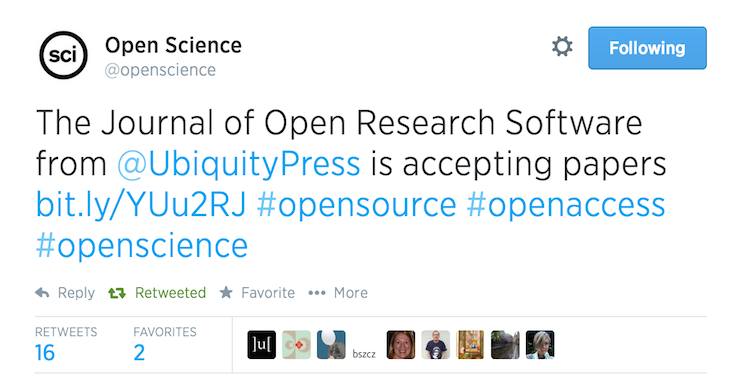 The Journal of Open Research Software (JORS) is a recent proposal by Ubiquity Press. It is a gold open access journal as defined by Harnad et al. (2008), meaning that all the published articles are forever free to be accessed, displayed, and distributed without barriers. The journal defines itself as one, which "features peer reviewed software papers describing research software with high reuse potential." A software paper is a journal article written by following certain strict guidelines, which are available on the journal website. As the guidelines state, a software paper describes an open source software with reuse potential for research purposes. The paper describes the software application, its implementation and architecture, the quality control in the development process, its availability (where to get it, how to install it), and its reuse potential within and outside the field of research of the authors. Arguably, an immediate benefit when publishing a software paper is a gain in terms of visibility of the produced software, and the reuse by other researchers. Figure 1 is JORS description of the benefits of publishing software papers. The two most important benefits are that the software becomes citable and that the citation is to a peer reviewed paper. In several fields, especially those falling under the general subject of computer science, writing software is an activity performed almost on a daily basis. Often, the implementation of a software system is the most time-spending operation of research activities. With initiatives such as JORS, the open software for research becomes an active entry of the academic CV. While software is not necessarily written only by researchers in computer science, any researcher developing open source software for research would benefit from the extra journal article and the related citations. Software developers not involved in research activities, on the other hand, would arguably not care about the journal article. However, JORS is about academic publishing and research activities. 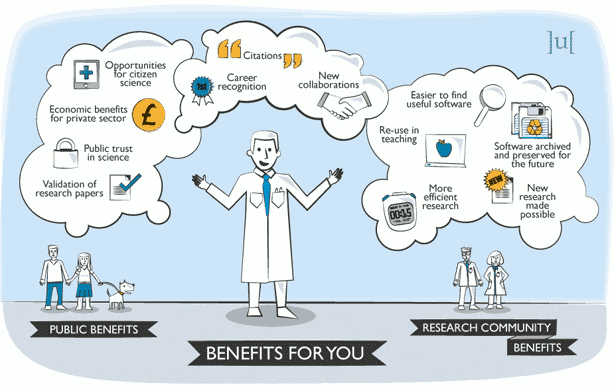 Figure 1 Journal of Open Research Software benefits for authors. Picture licensed under a Creative Commons Attribution 3.0 License. Copyright Ubiquity Press. It should be kept in mind that a software paper is a real journal article. JORS is an academic journal, not a repository. All software papers are peer-reviewed and must satisfy the reviews' criteria and the associated editor's comments in order to be published. The review process is transparent, and the reviewer guidelines are publicly available. The review criteria are based on the two following principles. (1) When reviewing, the accuracy and quality of the metadata has precedence over the software, however there will be a minimum level of quality expected. (2) All papers are expected to be able to pass after revisions, unless the software is not openly available or extremely difficult to reuse. The journal does not strictly define what is the expected minimum level of quality expected from the software. Therefore, the expected quality refers to the subjective judgment of the peer reviewers. According to the open access analysis framework described in Graziotin, Wang, and Abrahamsson (2014), the journal provides most of the desirable features of quality gold open access journals. Table 1 to Table 5 are part of the analysis framework, and describe the journal. Table 1 contains the bibliographic information of JORS. The publisher, Ubiquity Press, is established in the United Kingdom. Ubiquity Press is a relatively small publisher. However, it is well known in open access publishing communities. The publisher is part of the most famous professional affiliations, namely the Open Access Scholarly Publishers Association (OASPA), the Committee on Publication Ethics (COPE), and the Association of Learned and Professional Society Publishers (ALPSP). While Ubiquity Press is a for-profit publisher, its article processing charges are low and transparently stated in the publisher's website. The journal provides its articles in electronic formats. It is not printed on paper. Table 2 summarizes the activity metrics of the journal. With only 13 articles currently published (mean value of 6.50 published articles per year), it is evident that the journal is very young. It cannot be considered an established journal. Table 3 provides the economics metrics of the journal. The article processing charges for an accepted paper are 25.00 GBP. However, the fees are partially or fully waived if the authors cannot personally afford them. As stated in Table 4, the authors keep the copyright of the published articles, which are released under a Creative Commons CC-BY 3.0 license. Each published article receives a Digital Object Identifier (DOI). As stated by Langston and Tyler (2004), a DOI is an identifier for online objects of intellectual property. The location of an online object might suddenly change. However, the DOI remains the same. Therefore, the DOI resolvers such as doi.org are able to make the DOI point to the relocated object. Many publishers include this feature, and it is becoming a necessity with electronic journals (Langston and Tyler 2004). The contents of the journal are also archived in the LOCKSS digital archiving system and the CLOCKSS distributed archive. The archival means that the articles are safe and can be retrieved even if the journal suddenly disappears. The journal lacks a disclosure of the indexing and abstracting services covering the articles . Google Scholar correctly finds and indexes the journal contents. According to Table 5, the journal does not present any predatory factors or general issues, and it is not included in the (in)famous Beall's list of predatory journals and publishers. The start year is not an indicator of general issues because the journal is young, the article processing charges are low, and there are only 6.50 published articles per year on average. Near the end of March 2013, this author was finishing the first public release of the Semat Accelerator (Graziotin and Abrahamsson 2013), which is a Web-based modeling tool for SEMAT Essence theory of Software Engineering (Jacobson et al. 2014; SEMAT 2009). The SEMAT initiative attempts to "refound software engineering based on a solid theory, proven principles, and best practices." (Jacobson et al. 2014, 46) with a kernel for describing, addressing, and measuring the common objects of software engineering. These objects, named alphas, are opportunity, stakeholders, requirements, software system, team, work, and way-of-working. The aim of the research project Semat Accelerator, conducted with this author's PhD supervisor Pekka Abrahamsson, was to create a prototype as awareness creator for the theory. Semat Accelerator implements Essence kernel alphas and their related states, and it represents a software engineering endeavor in a quantitative way, through the use of graphs. Additionally, the tool stores the changes in states of the alphas, and exports them as a comma-separated values file (known as CSV). The tool would ideally help practitioners and researchers to understand Essence, in order to evaluate its effectiveness in case studies and controlled experiments. The prototype was well received from the SEMAT community (Jacobson, Spence, and Ng 2013), especially during several conference calls with Essence core researchers and the researchers involved in expanding and using it. Therefore, it was decided to open-source the tool with the hope that research could be built on top of it and to find collaboration. As researchers, we discussed the possibility to publish the tool in a scientific venue. Despite the research, it turned out it was difficult to publish software in our field, software engineering. The irony. Apparently, as reported by this author's supervisors and senior colleagues, the possibilities were to write a workshop paper or research paper, which employs the tool. Under fortunate conditions, people would cite those articles when employing the tool for their own research purposes. On 2013-03-29, the tweet represented in Figure 2 was posted by the @openscience Twitter account. Figure 2 Screenshot of a tweet sent by the @openscience announcing JORS call for papers. The tweet opened up a call for papers at JORS. This author and his supervisor were enthusiastic to submit a software paper there. On the same day JORS was discovered, this author contacted the Editor-in-Chief, Neil Chue Hong, who kindly answered all the questions and solved all our doubts. The decision to submit a software paper was taken almost immediately. The software paper was written by employing the supplied templates (available as .doc and .odt for Microsoft Office and LibreOffice, respectively). Direct online writing and submission was also possible, ˆ la blog post. The major difficulty we encountered was that we had no clue on what JORS would expect as the contents in the software paper. There were no published software papers in JORS website, and the templates were lacking explanations. Fortunately, the journal describes the review process and the reviewing criteria carefully, in Figure 3. The review process is officially single-blinded, and the reviews are not published together with the articles. The single-blinded process was disappointing to the present author, because JORS is an innovation in the traditional academic publishing system. 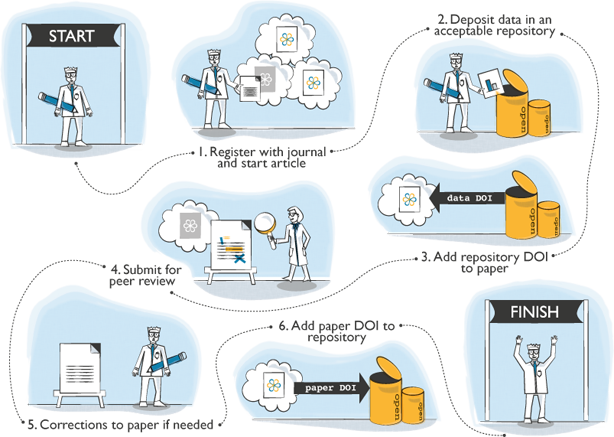 Innovative journals like PeerJ, Science Open Research, and The Winnower embrace open peer review at different levels. Arguably, an open access journal dealing with open source software should have an open peer review process, in order to improve its transparency . Figure 3 Journal of Open Research Software submission process. Picture licensed under a Creative Commons Attribution 3.0 License. Copyright Ubiquity Press. We submitted the manuscript on 2013-04-05 (a Friday, late afternoon). Its length was 7 pages (3 figures). The editor acknowledged our submission on 2013-04-08 (Monday morning). We were informed that after an initial screening, the paper would be peer-reviewed. The editor's e-mail was encouraging to us, especially regarding the seriousness of the editorial team. Meanwhile, the first two JORS articles had been published. Their content was not relevant to our field, but we thought that our submission was of a fair quality in comparison. On 2013-05-06, we contacted the editor-in-chief, asking what was typical review length. The editor promptly informed us that the manuscript was under review. They expected the reviews to arrive in "a couple of weeks." 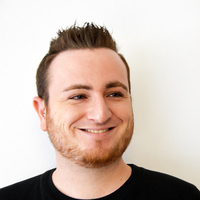 We were informed that JORS was assigned a Managing Editor, Samuel Moore from Ubiquity Press. Therefore, the editorial process would have gained benefit as there was a person thenceforth responsible for author-related enquiries and production issues. The transparency of the editor was helpful for us to perceive the difficulties when setting up a scientific journal. We were contacted by the Managing Editor on 2013-06-18. The reviews arrived. We were positively surprised. Both reviews' length was about 1300 lines. The length was nearly the amount the same of the one of the submitted paper (1900 lines). The feedback was harsh, because one reviewer was not a fan of SEMAT Essence−the reviewer admitted it in the review. However, it was constructive in both cases. The editorial decision was major revisions. We were provided the reviews and a brief summary of the mandatory points to be clarified with the new submission. The reviewers demanded both a revision of the paper and the software. This demand was unexpected and very well received by us. On 2013-07-26, we submitted a revised version of the paper together with the updated software. The resulting work from peer-review was significantly improved. The revised article doubled in its size: 12 pages, 5 figures and 3850 words. The software remarkably changed, too, as shown by Github comparison tool (Github 2013). On the Github repository, there were 22 commits and 124 changed files, with 23,955 additions and 11,544 deletions. On 2013-08-12, the managing editor came back to us with notification of acceptance. He offered a slightly edited version of the manuscript (with track mode on), in which he corrected minor mistakes of our non-native English. The managing editor also highlighted those sentences requiring rewording, and he provided suggestions as Microsoft Word comments. Our article was published on 2013-09-02 (Graziotin and Abrahamsson 2013). The process summed up to 2 months, 13 days from the submission to the editorial decision. It should be noted that our submission occurred at the very beginning days of the journal. They were without a Managing Editor most of this time. Given that the second round of reviews arrived in 17 days, the review time of the journal is expected to improve. The present author and his JORS co-author were pleased and satisfied with the Journal of Open Research Software. The journal has value to the scientific community. It has been a significant reward in terms of personal satisfaction to have a software system as a peer reviewed publication. Especially in computer science-related fields, the time spent on building software for research activities is significant and seldom rewarded. JORS rewards researchers who write and share their software for research activities, and permits the possibility to third party researchers to reward the software developers, with citations. The published articles are pleasant to read, with a polished layout. The people behind JORS handle a transparent process. This author felt respected and treated as a human being in a warm, constructive environment. The feedback from authors is welcome at JORS. This author recommends submission to the Journal of Open Research Software, especially to researchers in the fields of software engineering, information systems, human-computer interaction, and the whole computer science area. Researchers build software for research continuously. Let us share it and be awarded for it. This article is a revision of a post, which originally appeared on the author's personal website at http://ineed.coffee/1929/review-journal-of-open-research-software. 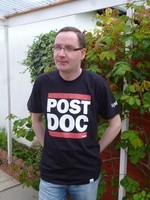 The author wishes to disclose that he is currently an editorial board member of the Journal of Open Research Software. However, the present review was written when such competing interest did not exist. This revision enhanced the original writing. However, the revision did not alter the structure or the meaning of the review. The author thanks The Winnower for publishing this review without charges and for challenging the traditional publishing system. The author is grateful to the reviewers of this manuscript and to Elena Borgogno for the suggestions for improving this article. Finally, the author wishes to thank the people involved in @openscience. This is an issue, which is currently being addressed by the journal editorial board. JORS will be indexed in more services as soon as it reaches a fair amount of published paper. The present author learned that reaching a fair amount of papers is a common requirement for being indexed in academic databases. This is another issue under discussion by the journal editorial board. It is currently allowed to sign reviews of software papers. Indeed, the present author signed all of his reviews performed for JORS. However, this option is currently not advertised on the journal website. The possibility to publish reviews together with the software papers was well received by the editorial board, too. However, there is the need to implement it in the journal publishing system. Anderson, Kent. 2013. "Do We Need a Consumer Reports of Journals, Written by the Authors?" Scholarly Kitchen. http://perma.cc/38U2-WUUF. Deaner, Robert. 2013. "It's Time for Journals to Be Author-Reviewed." The Chronicle of Higher Education. http://perma.cc/69R-CB3Q. Github. 2013. "Comparison of s4fs/sematacc v1.1.0 and v1.2.0." Github. https://github.com/s4fs/sematacc/compare/v1.1.0...v1.2.0. Graziotin, Daniel, and Pekka Abrahamsson. 2013. "A Web-Based Modeling Tool for the SEMAT Essence Theory of Software Engineering." Journal of Open Research Software 1 (1): e4. doi:10.5334/jors.ad. Graziotin, Daniel, Xiaofeng Wang, and Pekka Abrahamsson. 2014. "A Framework for Systematic Analysis of Open Access Journals and Its Application in Software Engineering and Information Systems". Scientometrics Online First (April 2014): 1-37. arXiv:1308.2597 [cs.DL]. doi:10.1007/s11192-014-1278-7. Harnad, Stevan, Tim Brody, Franois Vallires, Les Carr, Steve Hitchcock, Yves Gingras, Charles Oppenheim, Chawki Hajjem, and Eberhard R. Hilf. 2008. "The Access/Impact Problem and the Green and Gold Roads to Open Access: An Update." Serials Review 34 (1): 36-40. doi:10.1016/j.serrev.2007.12.005. Holsinger, Bruce. 2013. "A "Consumer Reports' for Academic Journals? (and Wouldn't a Wiki Work?)." Burnable Books. http://perma.cc/7UT8-TR3E. Jacobson, Ivar, Pan-Wei Ng, Ian Spence, and Paul E. McMahon. 2014. "Major-League SEMAT." Communications of the ACM 57 (4): 44-50. doi:10.1145/2580712. Jacobson, Ivar, Ian Spence, and Pan-wei Ng. 2013. "Agile and SEMAT." Communications of the ACM 56 (11): 53-59. doi:10.1145/2524713.2524723. Kochmann, Sven. 2014. "SciRev - Peer-Reviewception!" Indianalytics 1 (1): 316. http://www.indianalytics.de/?p=316. Langston, Marc, and James Tyler. 2004. "Linking to Journal Articles in an Online Teaching Environment: The Persistent Link, DOI, and OpenURL." The Internet and Higher Education 7 (1): 51-58. doi:10.1016/j.iheduc.2003.11.004. SEMAT. 2009. "Software Engineering Method and Theory." Semat.org. http://semat.org/?page_id=2. This is an interesting article as it describes a new journal that is of potential benefit to the software research community and the scientific community as a whole. It is also interesting in that it is a type of article that is very rarely written (i.e. a review of a journal by an author of the journal). I suspect there are not many journal reviews written as most journals will not publish criticisms about themselves and others will likely not (openly) criticize other journals. Should reviews by authors of journals ever take foot this would be a useful resource for the scientific community. There are a few small changes that would help improve the article further. Also a few questions should be addressed before archival. Overall it is an informative and well written though. 1) You often hyperlink citations without also describing what is linked in them. For example you mention and link to DOIs but never explicitly define what they are. Same with your software that you built. 2) Do software engineers care about citations? I suspect they care more about the software working and being used? Do software engineers need a DOI to list software they designed on a CV? Wouldn't improvement to the software be the biggest reward for submitting to JORS? 3) Are the reviews of the software open to read in JORS or must readers rely on anonymous experts? 4) Delete "to implement" from the following sentence: "Near the end of March 2013, this author was finishing to implement the first public release of the Semat Accelerator, "
5) What is the Semat Accelerator in a line or two? 6) "This author and his supervisor were enthusiastic..." not enthusiast. 7) Delete "to" from following: "Neil Chue Hong, who kindly answered to alll..."
8) Solved all our doubts not "solved all the doubts." 9) Would be peer reviewed not "...would have been peer reviewed." 10) The editor's email not "the editor email"
11) You mention that a managing editor is beneficial. What evidence is there that managing editors are beneficial? Some may argue they are detrimental. Do they determine if a paper should be reviewed or not? 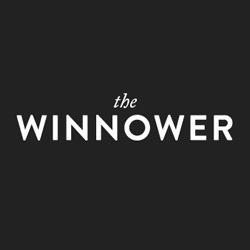 12) Delete second period "The published articles are pleasant to read, with a polished layout.."
Potential conflict of interest: I run The Winnower a potential competitor of JORS. Thank you for your comments. The revised version addresses all of your comments. I feel that the paper benefited from your review. I am thankful also for the suggestions in terms of text improvement. Below are my responses to your raised issues. The revised text presents way less hyperlinks, which were present in the original blog post and were more suitable for the purposes of a blog. For example, the links to the twitter accounts of the editors were removed. The remaining hyperlinks are now in a form, which is self-explanatory. Thank you for addressing the DOI-related issue. The revised version provides a brief description of what DOIs are, together with a reference to a well-written text about them. Specifically, the following is the revised text: "Each published article receives a Digital Object Identifier (DOI). As stated by Langston and Tyler (2004), a DOI is an identifier for online objects of intellectual property. The location of an online object might suddenly change. However, the DOI remains the same. Therefore, the DOI resolvers such as doi.org are able to make the DOI point to the relocated object. Many publishers include this feature, and it is becoming a necessity with electronic journals (Langston and Tyler 2004)"
The revised text now distinguishes between researchers in software engineering and software engineers (called software developers in the text). The text specifies that "While software is not necessarily written only by researchers in computer science, any researcher developing open source software for research would benefit from the extra journal article and the related citations. Software developers not involved in research activities, on the other hand, would arguably not care about the journal article. However, JORS is about academic publishing and research activities." The reviews are single-blinded and unpublished. Thank you for giving me the opportunity to clarify this issue in the text. The revised text states that "The review process is officially single-blinded, and the reviews are not published together with the articles. The single-blinded process was disappointing to the present author, because JORS is an innovation in the traditional academic publishing system. Innovative journals like PeerJ, Science Open Research, and The Winnower embrace open peer review at different levels. Arguably, an open access journal dealing with open source software should have an open peer review process, in order to improve its transparency .". The text provides the new footnote 2, where it is specified that this issue is also being addressed by the editorial board. The revised text employs the suggested deletion. Thank you for highlighting this lack in the text. The beginning of "THE PRESENT AUTHOR'S EXPERIENCE WITH JORS" section was expanded in this submission. In particular, the paper presents the SEMAT initiative as one attempting to "'refound software engineering based on a solid theory, proven principles, and best practices.' (Jacobson et al. 2014, 46) with a kernel for describing, addressing, and measuring the common objects of software engineering. These objects, named alphas, are opportunity, stakeholders, requirements, software system, team, work, and way-of-working.". The text then specifies that Semat Accelerator implements Essence kernel alphas and their related states, and it represents a software engineering endeavor in a quantitative way, through the use of graphs. The revised text provides the correction. The revised text contains the suggested text. There is no empirical evidence supporting that claim. The revised text specifies that the editorial process would have gained benefit "as as there was a person thenceforth responsible for author-related enquiries and production issues"
The revised text provides the suggested deletion. Unfortunately, the new lines of my response were lost after posting the comment. In addition, the response to reviews do not have formatting buttons. I am happy to have been helpful with improving your piece! Your revisions look great, especially the new figures. I hope your work will be of benefit to the software engineering community and others. The author describes in this paper his experience with JORS. The article is clear, well written and very interesting. The author manages to describe in details the publication phase and advantages of this type of journal. Perhaps the author focuses a bit too much on his personal experience, and doesn't report any statistics about the achievement of the journal so far (e.g. number of paper published, authors' comments...). Overall, the work is well done. "However there will be a minimum level of quality expected". What is exactly this minimum level of quality? The author states that the journal "is a gold open access journal (Harnad et al. 2008)". However, in the following paragraph, the author states that "the journal provides most of the desirable features of gold open access journals". Aren't these two sentence in contradiction? "The prototype was well received from SEMAT community". Citation or author's opinion? "As researchers, we discussed the possibility to publish the tool in a scientific venue. It turned out it was difficult to publish software in our field, software engineering". Some statistics/references to support this statement? "Both reviews' length was about 1300 lines. The length was nearly the amount the same of the one of the submitted paper (1900 words)" Comparing lines and words? Why not words-words, or lines-lines? "The feedback was harsh, because one reviewer was clearly not a fan of SEMAT Essence". Did the reviewer confirm that or is it the opinion of the author? The author says that, after the publication "the software significantly changed". The author provides also some statistics "on the Github repository, there were 22 commits and 124 changed files, with 23,955 additions and 11,544 deletions". I would change "significantly" with "remarkably", if no statistical tests have been performed. Thank you very much for your taking the time for performing this review. The revised version addresses all of your comments. The revised paper definitely benefited from your comments. 1) "However there will be a minimum level of quality expected". What is exactly this minimum level of quality? The revised text states that the guidelines do not actually define the expected minimum level of quality. In particular, the text states that " The journal does not strictly define what is the expected minimum level of quality expected from the software. Therefore, the expected quality refers to the subjective judgment of the peer reviewers." 2) The author states that the journal "is a gold open access journal (Harnad et al. 2008)". However, in the following paragraph, the author states that "the journal provides most of the desirable features of gold open access journals". Aren't these two sentence in contradiction? I agree that the text here could do a better job in terms of clarity. The revised text specifies that JORS is gold open access "as defined by Harnad et al. (2008), meaning that all the published articles are forever free to be accessed, displayed, and distributed without barriers." The text then specifies that according to the framework described in Graziotin, Wang, and Abrahamsson (2014), the journal provides "most of the desirable features of quality gold open access journals". 3) "The prototype was well received from SEMAT community". Citation or author's opinion? Actually, both. Thank you for addressing the issue. The revised text does a better job in clarifying that. It provides a citation to a paper written by the authors of Essence, where the way of displaying information of the prototype is employed (and JORS paper is cited). The revised text also states that the prototype was well received "especially during several conference calls with Essence core researchers and the researchers involved in expanding and using it." 4) "As researchers, we discussed the possibility to publish the tool in a scientific venue. It turned out it was difficult to publish software in our field, software engineering". Some statistics/references to support this statement? While I am not aware of published articles regarding the difficulty of publishing software, this has been considered a "classic issue" of academic research. Even recent websites like Academia Stackexchange have a fair amount of questions regarding publishing and citing software (e.g. http://academia.stackexchange.com/search?q=software+paper+repository). However, the revised text now specifies that this issue was reported by my PhD supervisors and other senior researchers. 5) "Both reviews' length was about 1300 lines. The length was nearly the amount the same of the one of the submitted paper (1900 words)" Comparing lines and words? Why not words-words, or lines-lines? Thank you for spotting this mistake. The revised text specifies that the submitted paper length was of 1900 lines, not words. 6) "The feedback was harsh, because one reviewer was clearly not a fan of SEMAT Essence". Did the reviewer confirm that or is it the opinion of the author? The reviewer confirmed this. The revised text specifies that "one reviewer was not a fan of SEMAT Essence−the reviewer admitted it in the review". To be fair, that reviewer provided a remarkably high-quality review. Despite the fact that the reviewer was not a fan of Essence, I do not think that the review suffered from this. 7) The author says that, after the publication "the software significantly changed". The author provides also some statistics "on the Github repository, there were 22 commits and 124 changed files, with 23,955 additions and 11,544 deletions". I would change "significantly" with "remarkably", if no statistical tests have been performed. The revised text employs "remarkably" instead of "significantly". You will always have your chance of getting how to get free steam games these codes add cash to your steam wallet. steam wallet gift card add money to your wallet. I have no experience with regards to the journal in question yet this review is very detailed and overall, a positive experience all round. Thank you for your suggestion and for the encouraging comment. The revised version provides higher quality pictures. The pictures look way better in both versions of the article (HTML and PDF).